If you would like to get involved, or for membership and general inquiries, email us at apabacolorado@gmail.com. For judicial endorsement requests, please visit our Judicial Endorsements Request page. The Asian Pacific American Bar Association of Colorado (APABA Colorado) applauds the appointment of Neeti Pawar to the Colorado Court of Appeals. Judge Pawar is the first Asian American appointed to a Colorado appellate court. “APABA Colorado is pleased that Judge Pawar will exercise her exceptional legal talents to serve the Colorado Judiciary and the people of Colorado. Judge Pawar’s appointment is notable for the history and future of the Colorado courts, the state of Colorado, and the Asian bar community,” stated APABA Colorado President Nicoal Sperrazza. In addition to being a Past President of APABA Colorado, Judge Pawar was the Founding President of the South Asian Bar Association of Colorado, has served on boards including the South Asian Bar Association of North America, Colorado Legal Services, Colorado Lawyers Committee, the Denver and Colorado Bar Associations, has been a frequent guest speaker at community and state-wide events, and has been committed to advancing professionalism in the law and the missions of specialty and affinity bar associations. She was selected as an inaugural class member of the Colorado Bar Association Leadership Training Program and has received numerous recognitions such as the Best Lawyers in America, Denver Business Journal 40 Under 40, and Top 50 Women Colorado Super Lawyers. Judge Pawar’s oath was administered in a private ceremony on March 18, 2019. A formal ceremony will be announced shortly. Congratulations to APABA Colorado Past President Miko Brown for being named by Law Week Colorado as one of its 2019 Top Litigators! Miko is a partner in the Trial Department of the law firm Davis Grahm & Stubbs LLP where she defends high-profile companies in catastrophic personal injury lawsuits. Her practice also includes commercial litigation, intellectual property, and civil rights cases. To date, Miko has represented clients in 24 states and has tried cases to verdict in Colorado, Texas, New Mexico, Pennsylvania, Puerto Rico, and Ohio. Law Week Colorado's Top Litigators accolade recognizes litigators whose courtroom accomplishments in the past year were particularly exemplary. The selection process involved a breadth of other criteria, including interpersonal dynamism and pro bono service. An article on Miko appeared in the March 11, 2019 print edition of Law Week Colorado. The online version of the article can be accessed here. Congratulations to APABA Board Member Kira Suyeishi for being selected by the Denver Bar Association Access to Justice Committee because of her commitment to pro bono! Kira was one of ten lawyers selected for this honor after nomination by the Denver legal community. Way to go, Kira! Being honored by the Rocky Mountain Immigration Advocacy Network (RMIAN) at its 13th Annual Immigrant Liberty Awards on May 3rd is APABA Past President Judge Cindy Dang. The event will include dinner, silent and live auction, and awards ceremony. Tickets can be purchased here. APABA Treasurer Harry Budisidharta will serve as the event's Master of Ceremonies. Congratulations, Judge Dang! Congratulations to APABA Past President Byeongsook Seo on being appointed to serve on the Judicial Nominating Commission for the Second Judicial District. APABA Board Member Judge Chelsea Malone shares her personal journey from South Korea to the Crow Reservation in Montana to the Denver County Court Bench in the February 2018 issue of the Colorado Lawyer. She also offers insight about her judicial application process. 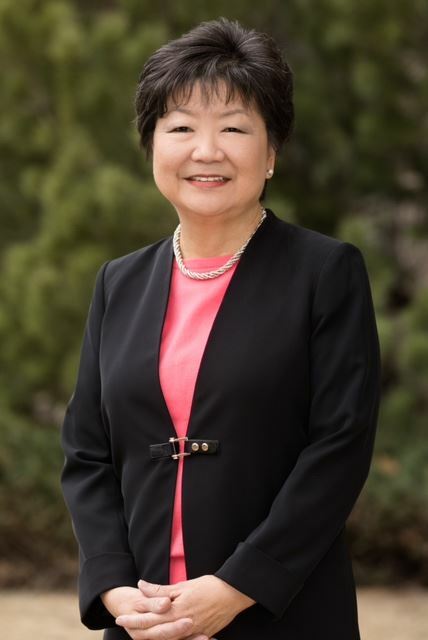 Judge Malone is the first Asian woman and the first Korean-American selected as judge in any county court or state district court in Colorado. Read Judge Malone's essay here. APABA Treasurer Harry Budisidarta has been chosen as one of seven recipients of the Martin Luther King, Jr. Business Awards. This award honors individuals, corporations, and non-profit organizations for their exemplary social responsibility in adhering the ideals of Dr. Martin Luther King, Jr. Harry will receive the award at the awards luncheon January 12, 2018 at the Hilton City Center Hotel. Tickets can be purchased here. Law Week Colorado has selected APABA President Justin Cohen as one of its 2017 Up and Coming Lawyers. Check out Law Week Colorado's article discussing Justin's practice and his pro bono work with Project Safeguard here. Way to go, Justin! Congratulations to APABA Treasurer and APABA Foundation Board Member Fay Matsukage on being inducted into the Colorado Women's Hall of Fame Class of 2018! The ten inductees in Class of 2018 are a group of extraordinary contemporary and historical women with significant ties to Colorado, who have made enduring and exemplary contributions to their fields, inspired and elevated the status of women, and helped open new frontiers for women and society. Since its founding in 1985, the Colorado Women's Hall of Fame has inducted 152 women. The Class of 2018 will be officially welcomed to the Colorado Women's Hall of Fame in March 2018. To see the full list of inductees and to read the article, click here. Also watch and read Fay's interview with Denver 7 here. APABA Colorado congratulates Franz Hardy (APABA Past President 2012-2013) on his appointment as President of the Denver Bar Association! Please see below for a welcome letter from Franz, and read more about Franz in the latest issue of The Docket. Congratulations to Board Member Kira Suyeishi on being selected as a DU Law Star! Kira will receive the Bruce B. Johnson Outstanding Young Alumni Award at the DU Law Stars Dinner on November 2nd. She was awarded the Governor Ralph Carr Award at our annual banquet earlier this year. In June, Governor Hickenlooper appointed Jin Ho Pack as a judge on the Delta County Court in the 7th Judicial District. Judge Pack served as a County Attorney for Delta County prior to being appointed. Congratulations to Past President (2016-2017) Miko Brown on being selected as one of five "Women Lawyers Who Raise the Bar through Systemic Reform or Innovation" by the Colorado Women's Bar Association Foundation. Miko will be honored at the Foundation's "Raising the Bar" Dinner on September 14th. The mission of the Asian Pacific American Bar Association of Colorado ("APABA") is to represent the interests of the Asian Pacific American ("APA") community and attorneys; to speak on behalf of, and advocate, the interests and ideas of APA attorneys in Colorado; to foster the exchange of ideas and information among and between the organization’s members and other members of the legal profession, the judiciary, and the legal community; to encourage and promote the professional growth of the members of the organization; to broaden opportunities for APA lawyers and law students; to present educational programs aimed at the needs of the practice of APA attorneys; to provide an opportunity for fellowship among the organization’s members; to provide coordinated services to the Colorado community; to develop and encourage cooperation with the National Asian Pacific American Bar Association and with other organizations of minority attorneys; provide a vehicle and forum for the unified expression of opinions and positions by the organization’s members upon current social, political, economic, legal, or other matters or events of concern to the members of the organization; and to serve as a communication network among APA attorneys across the state.